Dots show street trees matching with other city layers. The city of Coeur d'Alene (population 35,000) is situated in northern Idaho on Coeur d'Alene Lake. It is the gateway to a summer and winter resort area as well as a tourist and lumbering center. Tourism continues to prosper and is now one of Coeur d'Alene's primary industries. But Coeur d'Alene is also growing its economy through the addition of numerous small businesses ranging from retail and service concerns to small manufacturers. Coeur d'Alene is poised to be a leading city in the inland northwest in the 21st century and beyond. Coeur d'Alene's Urban Forestry program had its beginnings in 1974 when there was a tussock moth infestation. A group of three foresters began to meet to advise the city about tree issues. This group became an official Urban Forestry Committee in 1983. One of the duties of the Urban Forestry Committee was to establish a street tree inventory. An inventory of the oldest section of town was done in 1978. An update of that information was started in 1989 with the help of community volunteers. This inventory eventually reached all parts of the city and was completed in 1993. The next update effort was completed in 1998. Trees are an important part of Coeur d'Alene's general atmosphere and make significant contributions to the quality of life. In addition to aesthetic values, they provide many environmental benefits such as shading radiant surfaces, processing carbon pollutants into oxygen, intercepting rainwater, filtering dust, buffering winds, and moderating noise. Street trees (trees growing within the public rights-of-way) are located where these qualities are particularly important. An inventory of street trees helps the city monitor, manage, and plan for the future of this important resource. The city of Coeur d'Alene initiated an Urban Forestry GIS project in the summer of 2001. It was funded in part by a grant from the Idaho Department of Lands Community Forestry Program in cooperation with the United States Department of Agriculture (USDA) Forest Service. 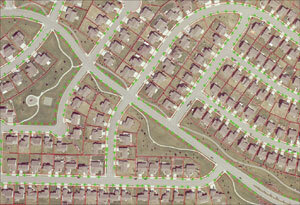 The purpose of this project was to transfer existing urban tree inventory data into a state-of-the-art GIS. The city of Coeur d'Alene was using an old mapping program for street trees. It assigned locations (latitude and longitude) by using the tree inventory address field but was only able to appoint locations for approximately 70 percent of the inventory, so it was not very useful. Another problem was the assignment of false addresses to trees next to corner properties (two street frontages) to make the trees show up on the correct street. Since Coeur d'Alene's urban forestry ordinance makes property owners responsible for the care of the trees in the right-of-way abutting their property, the city forester spent a lot of time talking to homeowners regarding public trees next to their property. Relating trees to real addresses is therefore very important in finding the correct information to help them. The false addresses were a real hindrance. Existing tree inventories were limited to counting the trees and recording their address, condition, diameter at breast height (DBH), genus, species, and maintenance needs. Keeping the above problems in mind and the useful applications of having street tree information in GIS format, the city decided to do a tree inventory in GIS to assist with management tasks. New neighborhood with small trees. In the summer of 2003 the city reviewed all the street trees identified by the inventory as being in poor condition. These are the trees that may have the potential for falling and causing damage, so it is important to assess needed actions, which may range from pruning to removal and replacement. Being able to view the "poor" trees on the map will help the city forester plan efficient travel routes for daily work and quickly pinpoint individual tree locations on the ground. Once specific management actions for each tree have been determined, providing maps of tree locations to tree care contractors will help them in preparing bids and dispatching crews. The city of Coeur d'Alene has one Urban Forestry staff member who looks after all the city's needs related to urban trees. 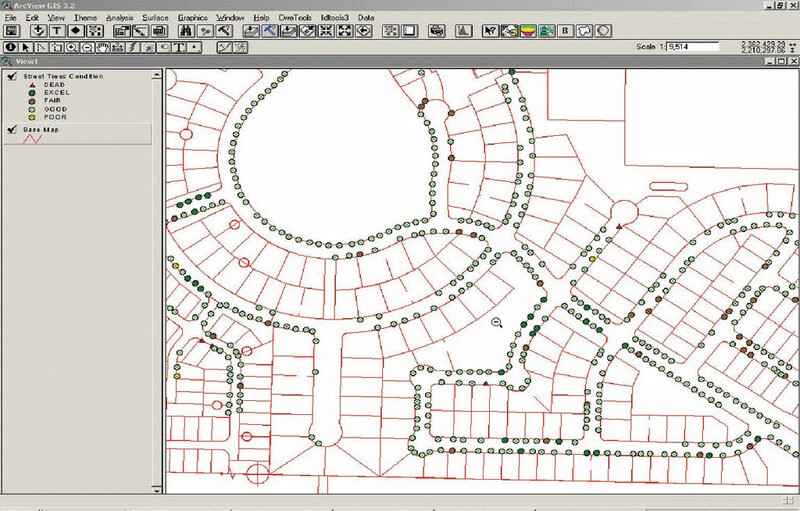 A GIS consultant was hired in the summers of 2001 and 2002 to assist in GIS database design, data collection, and customizing ArcView 3.x software to view and analyze Urban Forestry data. Part-time, temporary student workers were also utilized. The city already had the tree inventory in dBASE format, which included records such as property address, tree condition, DBH, genus, species, and maintenance needs. The latitude and longitude information of the trees was not available. Rather than redoing the whole inventory, it was decided to locate the latitude/longitude position of recorded trees. A unique record field (serial number) was added in the original tree inventory dBASE database. Digital orthophoto quadrangles (DOQs) provided a picture of an area. 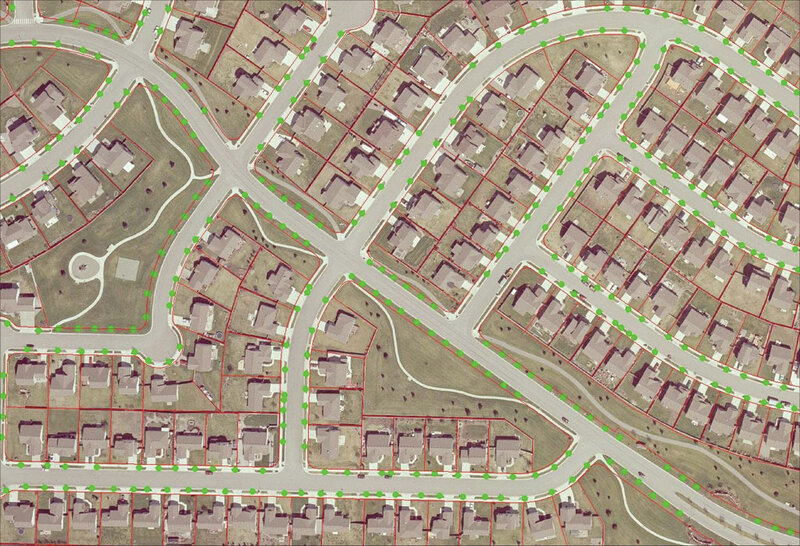 To pinpoint the x,y location of trees, an on-screen digitizing approach was adopted by using high-resolution (1 pixel = 0.5') DOQs as a background layer in ArcView. 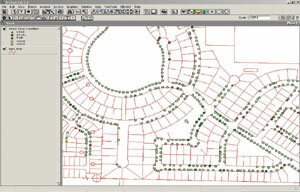 City street, parcel, and address layers were also loaded in ArcView to help in pinpointing the tree location. DOQs were useful in spotting trees and pinpointing their location, but recognizing the various tree species was difficult. This problem was solved by using the existing tree inventory, which had been done on the ground. Tree inventory personnel walked along the streets, recording each tree and planting spot in progression and linking them to their respective address. Following the same path as the inventory personnel, on-screen digitizing was done by assigning the corresponding database serial number to each tree position. Those city parcels or places where many merging tree crowns made locating individual trees difficult, or when smaller trees were underneath the crowns of larger trees, field checks were done. After pinpointing the locations of the street trees, the focus was shifted to integrating the GIS database with the existing nongeographic tree inventory database by joining data tables together on a common field in ArcView. For this purpose the unique record field (serial number) was used. The urban street tree GIS database is now ready and can be easily integrated with other city land record themes as part of a multipurpose land information system. For more information, contact Karen Haskew, city forester, Coeur d'Alene (tel. : 208-769-2266, e-mail: karenh@cdadid.org) or Craig Foss, chief, Bureau of Forestry Assistance, Idaho Department of Lands (tel. : 208-666-8632, e-mail: cfoss@idl.state.id.us).